Nicole Allison, Caitlin Marley, Martin Heywood, Annabel Taylor, Neil Marley. Izzy Roberts, Graham Simpkin, Sue Simpkin and Hannah Senior, with our mascot for the day, Sapphire. Missing are Ellie Beedham and Kev Lovett. Lincoln success for Caitlin and Nicole! 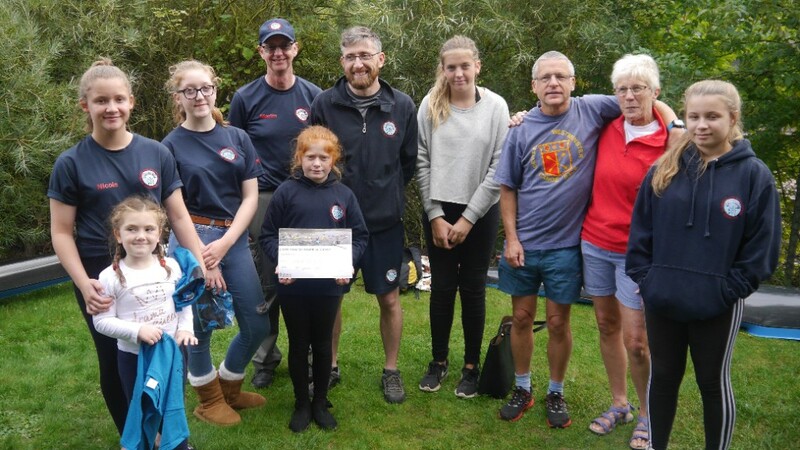 We all found the going tough at Lincoln today, having not being able to train on our weed covered river for a quite a while, but we did have the winners in the Div 9 K2. 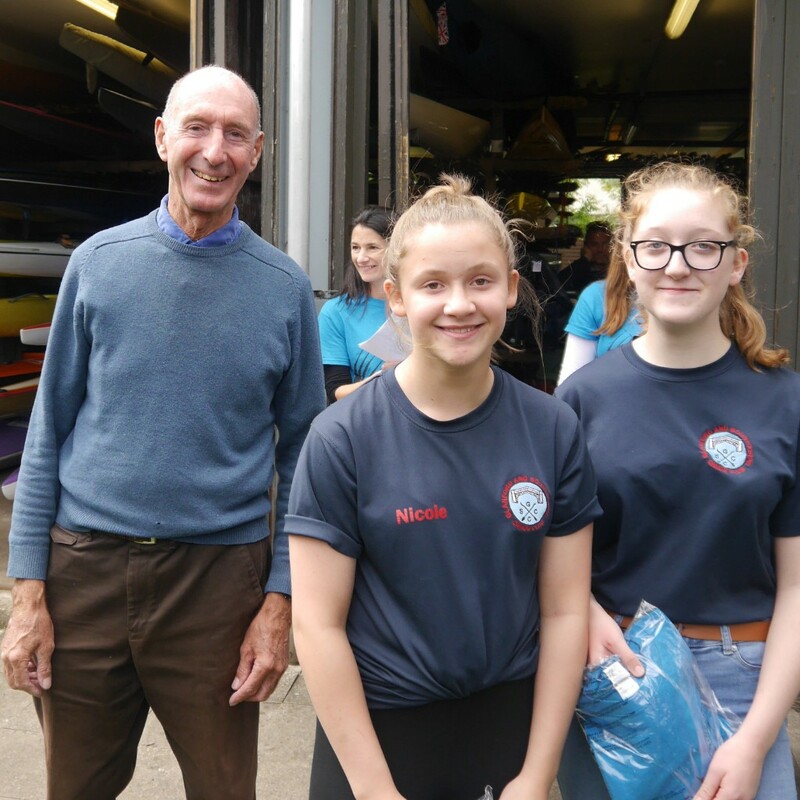 Well done to Caitlin Marley and Nicole Allison, coming first out of four crews! If anyone has any photos from the Lincoln Marathon, send me your email address and I (Martin Heywood) will send you a link to a folder to copy them to.